does the screen get scratched a lot.?? I mean..Is it sensitive? cause I don't think I can buy a new housing for it if that happens. I just bought this phone this evening and I've been texting for some time now. I has drained a single Bar. I had the first version of this and its very reliable when it comes to battery life. its a BASIC PHONE so don't expect it to have so much feature with such a cheap price. Its good quality I assure you. The only I don't like is that it doesn't have an earphone with it but yeah.,like I said its cheap, NO NEED TO PUSH IT. AnonD-220416, 02 Jan 2014Bought it last Dec 23, 2013 at SM Cyberzone North edsa. At first I'm a bit disappointed coz i ... moreAwesome phone. Battery lasts for 4 days even after about 30 calls a day. Very user friendly. A good buy . Is tamil language is available.. 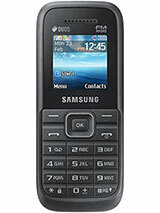 I bought the Samsung Pusha as a secondary phone. Although I set the settings to show incomming caller id, it still shows Anonymous.... Can anybody help? do it have speed dial and torch.. please reply i am gonna buy it soon. how many log it have? does anyone know how to silence the jingle after a missed call when the phone is in silent mode ?? Bought it last Dec 23, 2013 at SM Cyberzone North edsa. 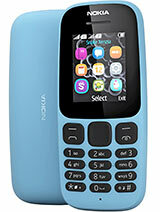 At first I'm a bit disappointed coz i spent P699 for a basic phone that's really not my type (planning to buy a Nokia 105 which is P950 that time). I am torn between the Nokia 105 and this one but it's actually the price that made me decide. Now, I couldn't ask more from it coz the battery life lasts up to 6 dAYS and I have the white one which is so cool to see and feel. the standard model been downgraded allot! if anyone know what i mean reply. and i'm not only talking about this specific phone, i talk about all of them! I like this phone..very easy application & very gooddd battery life..& price is very cheap..I Like!! it is terrible .you can hardly customize it.lack of every thing exept battery .i suggest you not to buy this cellphopne. Poor call (voice) quality on both ends. Loud, but distorted and unclear. I noticed that almost all cheap Samsung phones have that problem. In this device we can use religion language..